The stray dog population is one of the most visible animal welfare issues in Bulgaria today. 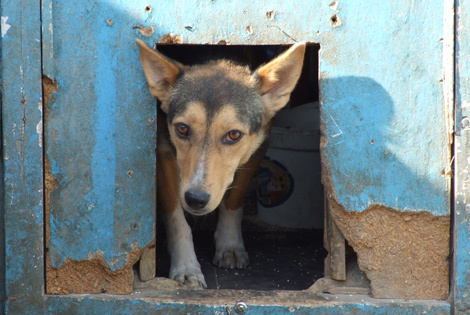 Naturewatch Foundation highlighted that living on the streets, stray dogs are exposed to the constant risk of death or being injured in accidents, illness, starvation and abuse. After a member of public was killed by a pack of stray dogs, Naturewatch Foundation was invited to work with the Ministry of Agriculture and the Sofia Municipality to reduce the stray dog population. On 8th August 2012, Naturewatch Foundation conducted a seminar for the Ministry of Agriculture and Sofia Municipality, providing training on how to effectively and humanely manage their stray dog population. On 26 – 30 November 2012, Naturewatch Foundation travelled around Bulgaria holding seminars for State Veterinary Inspectors. The purpose of the seminars was to train inspectors on how to improve welfare standards in both private and municipality shelters. In 2013, Naturewatch Foundation will continue to support the Ministry of Agriculture and municipalities to implement humane stray animal management proposals. We couldn’t provide our vital services without the generosity of people like you. Please help us continue our work improving animal health and welfare in Ukraine by making a donation today.